We’re a little bit behind in our reviews here at Wines In Niagara, so today we offer a plethora of wines being released at wineries in Niagara and the Grey County winery Coffin Ridge. Let’s start with some new wines from Vineland’s Tawse Estate Winery. Tawse Growers Blend Cabernet Franc 2011 ($27, winery, 89 points) — This blend from select Niagara vineyards is aged in French oak for 14 months. The nose shows smoky dark fruits, cherry, raspberry, herbs and spice. It shows firm structure on the palate with delicious berry fruit, savoury spices, bright acidity and smooth tannins. Can cellar for a few years but attractive now. Tawse Estate Quarry Road Gewurztraminer 2012 ($25, winery, 91 points) — This is a pretty Gewurz with a nose that shows citrus-grapefruit, pear, and light spice. It’s concentrated on the palate, but nicely balanced, with rich fruits, wild honey and gorgeous texture through the finish. Nothing overblown in this delightful Gew. Tawse Sketches of Niagara Riesling 2012 ($18, Vintages, winery, 88 points) — There’s a lot to like here in this friendly Riesling. Aromas of fresh cut apple, citrus, honeydew, honeysuckle and riverbed minerality. It’s vibrant and doesn’t feel like there’s 20 g/l of residual sugar, with peach fruit and citrus the main players on the palate. Redstone Brickyard Riesling 2012 ($14, LCBO, 87 points) — This is the first wine made at Moray Tawse’s new Redstone Winery (see comment from Moray Tawse below). This off-dry Riesling has a nose of bright peach, grapefruit, lemon and honeysuckle. It has a sweet edge to it with ripe fruit and citrus that is somewhat balanced by refreshing acidity. Vineland Estate Semi-Dry Riesling 2012 ($14, LCBO, winery, 90 points) — A go-to Riesling in Niagara from winemaker Brian Schmidt for summer sipping. A lovely nose of lemon and apple with peach accents. It’s ripe and fruity and perfectly balanced between sweet and dry with plenty of crisp acidity. A perfect example of classic Niagara Riesling. 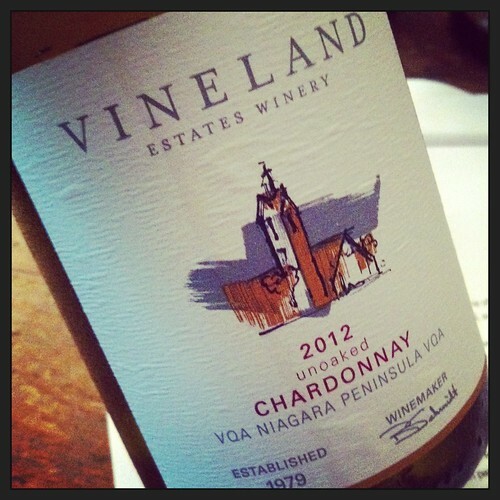 Vineland Estate Unoaked Chardonnay 2012 ($13, LCBO, winery, 89 points) — An absolutely fresh and clean Chard with bright citrus fruits, apple and peach notes on the nose. It’s delicious, pure and vibrant on the palate with gorgeous apple fruit, a touch of pear and a vein of citrus through the core. Great summer sipping wine. Inniskillin Reserve Series Cabernet Franc 2012 ($25, winery, Wine Rack, 89 points) — The nose shows classic Niagara Cab Franc aromas of cassis, cherry, savoury spices and herbs. It is lovely on the palate with black currants, cherry-raspberry, cedar, plum, licorice, campfire smoke and sage. It shows length and structure through the finish. Should age well. Inniskillin Pinot Grigio 2012 ($15, winery, Wine Rack, 88 points) — An expressive nose of lemon-lime, peach, apple and melon. It’s soft and lush on the palate with an array of ripe and delicious fruits. Inniskillin Reserve Series Pinot Gris 2012 ($20, winery, Wine Rack, 90 points) — Yowser! This is a ripe and bold Gris that sees 30% of the fruit barrel fermented and aged for three months. The nose shows peach cobbler, apple, spice and citrus notes. In the mouth, this is a full, fleshy offering with ripe apple, tropical fruits and creamy vanilla and nutmeg spices. On the soft side, but oh so delicious. Inniskillin Niagara Estate Pinot Noir Rose 2012 ($15, LCBO, winery, Wine Rack, 87 points) — A bright nose of cherry, strawberry and rhubarb fruits that jump out of the glass. On the palate it’s all about fresh red fruits that will fit nicely beside light summer meals on the patio. Inniskillin Reserve Series Merlot 2011 ($23, winery, Wine Rack, 88 points) — It was a tough vintage for Merlot in Niagara but winemaker Bruce Nicholson has crafted a fine red from various vineyards in the peninsula. The nose shows savoury cherry, raspberry and ripe plums and nice spicy notes. It has good tannic structure in the mouth with smoky-savoury notes to go with cherry pie, cassis, licorice and tannins that need to integrate a bit. Inniskillin Reserve Series Pinot Noir 2012 ($20, winery, Wine Rack, 90 points) — A lovely Pinot with aromas of cherry, anise, blueberry, raspberry and cinnamon-nutmeg spices. The rich red fruits on the palate are joined by baking spices, silky tannins and touches of blueberries and currants. 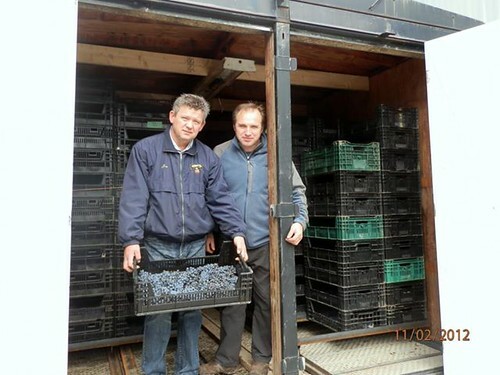 This Grey County winery (near Owen Sound) is owned by Neil and Gwen Lamont and last year hired talented Niagara winemaker Steve Byfield, who also owns his own virtual winery Nyarai Cellars, to make the wines. The winery is in its eighth vintage and produces over 4,000 cases of wine from an eclectic list of hardy-climate grapes including: Geisenheim 318, Frontenac Gris, La Crescent, Prairie Star, L’Acadie Blanc, Auxerrois (for the whites), Baco Noir, Marchel Foch, Marquette, Leon Millot, Frontenac, Sabrevois, DeChaunac and Chambourcin (for the reds). 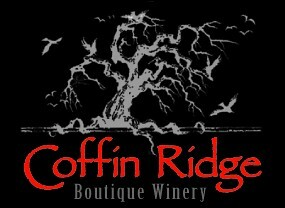 Coffin Ridge Into the Light 2012 ($20, winery, 88 points) — A nose of grapefruit, peach, orange peel, kiwi and lime. Lots going on in this interesting off-dry white fruit bomb blend of Geisenhiem, Riesling, L’Acadie Blanc, Frontenac, Frontenac Gris, La Crescent and Prairie Star, including peach, cold tea, minty herbs, lemon-lime and refreshing zip through the finish. Tasty summer treat. Coffin Ridge Bone Dry Riesling 2012 ($17, winery, 88 points) — The nose shows lime and grapefruit aromas with peach fuzz and apple slices. As the name boldly states, it’s nice and dry with refreshingly fresh flavours on the palate. Coffin Ridge Marquette 2011 ($27, winery, 88 points) — Marquette is a hybrid grape developed by the University of Minnesota’s viticultural program and is an off-shoot of Pinot Noir and native North American species. Coffin Ridge winemaker Steve Byfield does a nice job with this unique wine that has a distinct nose of ripe black currants, cassis, black cherries, earth and cinnamon-cocoa spice. It’s very smooth on the palate with cherry-liqueur, ripe plums, cassis and an array of spices through the finish. Cornerstone Estate Winery is nestled in the heart of the Niagara Peninsula, in Beamsville. It’s off the beaten track in a relaxed and tranquil setting. Founded in 2002, this family owned and operated winery makes premium quality wines from their own handpicked and hand sorted grapes. In 1999, Jerry Kopasnski purchased a fruit farm in Beamsville and painstakingly converted it into a working vineyard. 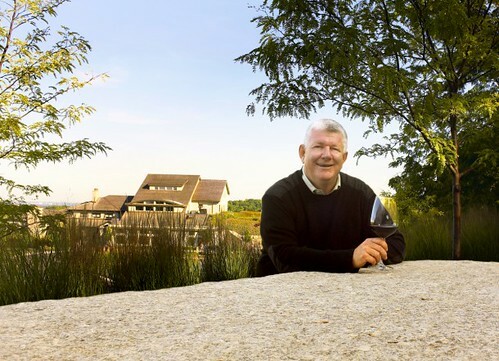 In 2002, he began turning his farm’s grapes into a variety of wines. In 2004, he built a brand new facility to increase wine production in the next year the new winery was opened to the public. 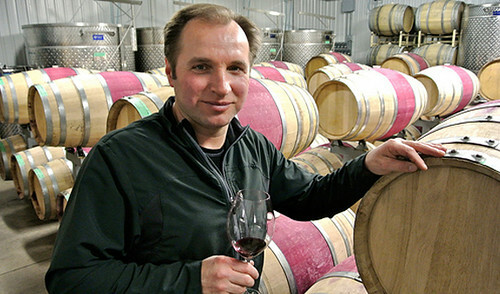 The wines are now made by Andrzej Lipinski, who is moving most of the production, starting in 2012, into a kiln-dried grape wine operation, a method he has perfected at other wineries in Niagara. Cornerstone Pinot Gris 2012 ($19, winery, 88 points) — This represents the first of the wines from Cornerstone being made by Lipinski and his use of old tobacco kilns to dry the grapes. This Gris was kiln-dried for three weeks and fermented and aged in older French oak barrels. The nose shows spicy pear, baked apple pie and honey notes. It’s mellow on the palate with a round mouth feel and interesting ripe, sweet and spicy orchard fruits. Cornerstone Chardonnay-Musque 2012 ($16, winery, 90 points) — I don’t know why wineries in Niagara don’t make more of this great wine. This one is a beauty with fragrant floral notes, orange peel, peach, pineapples, pear and tangerine aromas. The orchard fruits and touches of pineapple and orange are bolstered by a subtle ginger spice and creamy note on the palate. Great sipping wine. Cornerstone Barrel-Aged Gewurztraminer 2010 ($17, winery, 88 points) — An exotic take on this aromatic varietal that sees 10 months in French oak. The nose shows ripe grapefruit, musk oil, cinnamon, nutmeg, marzipan and lychee. It’s soft on the palate with lower acid but still attractive for the myriad interesting, concentrated and exotic flavours. The non-barrel-aged Gew 2011 shows more perfume and rose petals with concentrated and spicy grapefruit notes. Cornerstone Cab-Merlot 2010 ($19, winery, 88 points) — The nose displays cassis-blackberry fruit with pronounced pepper, spice, cocoa and earth notes. It’s rich and ripe on the palate with an array of dark fruits, campfire smoke, toasted vanilla, tar and licorice. It’s drinking well right now but can cellar for a couple more years. Cornerstone Merlot 2010 ($19, winery, 89 points) — This is another solid red from the Cornerstone portfolio and nice to see these wines released with a bit of bottle aging. The Merlot shows savoury-earthy notes to go with cherry-raspberry fruits, tar, and toasty oak vanilla spice. It’s smooth on the palate and loaded with ripe red fruits and spice. Drinking perfectly right now. Riverview Cellars Sauvignon Blanc 2012 ($17, Vintages, winery, 88 points) — Nice aromatics of quince, herbs, white flowers, grass and grapefruit. The palate shows some tropical fruits with fresh lemon and subtle grass and herbs. Riverview Syrah 2011 ($30, winery, 88 points) — A mid-weight Syrah with aromas of cherry, cassis, earth and savoury-peppery spices. The red and dark fruits are juicy on the palate with a balanced attack from the spices. Just add the BBQ’d meats. Hey Ric, just wanted to clarify that the Brickyard Reisling is the first wine made from our new Red Stone winery and was crafted by our winemaker Rene Van Ede. Rene has put his own touch to the wine and although still working with Paul Pender he has put his own interpretation on this fruit. This wine is destined to be an LCBO general listing to reach a larger audience for a value priced Reisling. Although the Red Stone winery facility is finished and has been in production since last vintage, the construction of the new hospitality and tasting centere as well as Ryan Crawfords new resturant (former chef for many years at Stone Road grill in NOL) will start construction this month and hopefully be Ready for the May 24th weekend. Red stone will be specializing in Bordeaux style varieties. Look for some great new wines coming from Redstone! Thanks, Moray, I will make note in the above review.